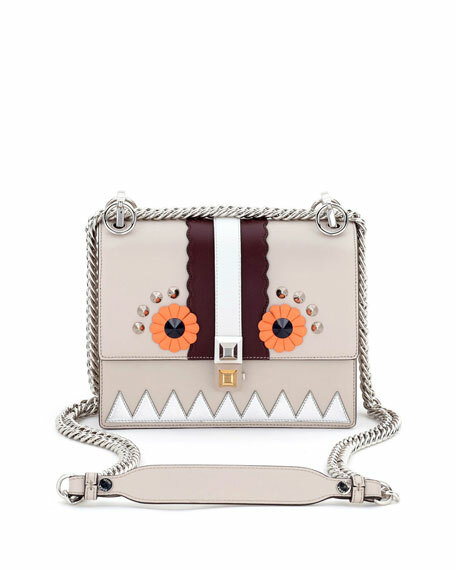 Fendi calfskin shoulder bag with mirrored leather appliqué. 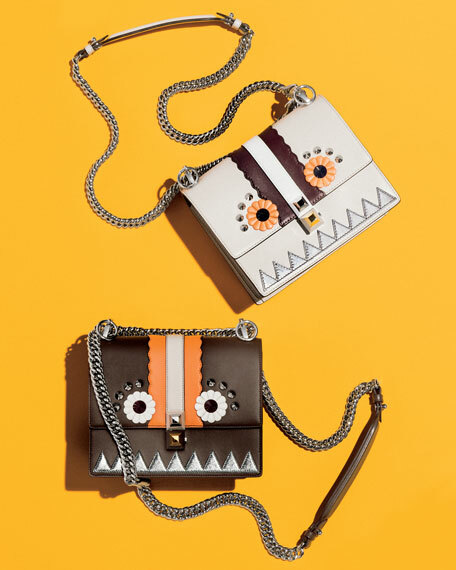 Fendi Faces motif with floral studded eyes. Fendi shoulder bag in two-tone FF-embossed calf leather. Mixed golden and silvertone hardware. Removable flat top handle. Flap top with magnetic closure. Contrast cutout logo at center. Interior, one slip pocket. 7.1"H x 9.8"W x 4.1"D. "Kan I" is made in Italy.